ENT of Georgia (Stockbridge) - Book Appointment Online! 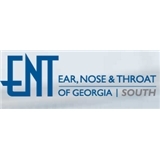 ENT of Georgia South is a group of Board Certified Otolaryngology specialists & Audiologists dedicated to providing a comprehensive range of high quality ear, nose & throat care. Our providers have been serving the Greater Metro Atlanta area for over 20 years. We treat patients from infancy to adulthood using the latest treatments & technologies to ensure the highest quality of care. Many of our providers have completed fellowships & other post-residency training in various sub-specialties of ENT care. The staff is always very friendly and helpful and that makes any Dr. visit so much better for the young & old. Dr. Free was great! He took the time to listen to my concerns. I felt as though he took me seriously and did not brush me off like others doctors have. Everything went smoothly from checking in to leaving and I feel as though everyone in the office had great patient care.